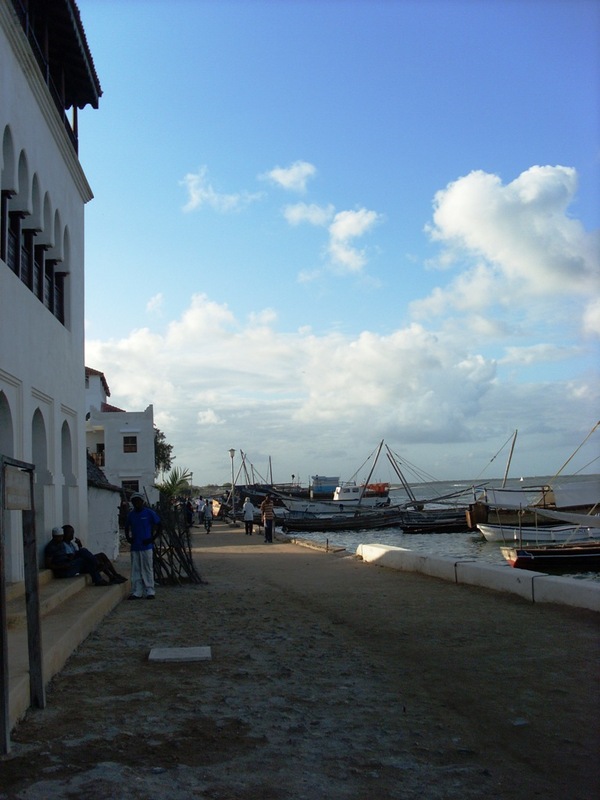 Lamu was to be the crown jewel of my East African coastal journey. I had read about the town and the imminent construction of a new port. 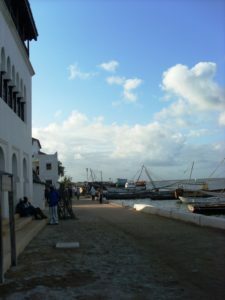 After Mombasa, which is already at capacity, Lamu is the only natural spot for a harbor in Kenya. The construction of a port is a few years away, though some dredging has already started. Roads will be built, rail lines introduced, and an oil pipeline for South Sudan’s crude will likely be in place within ten years. 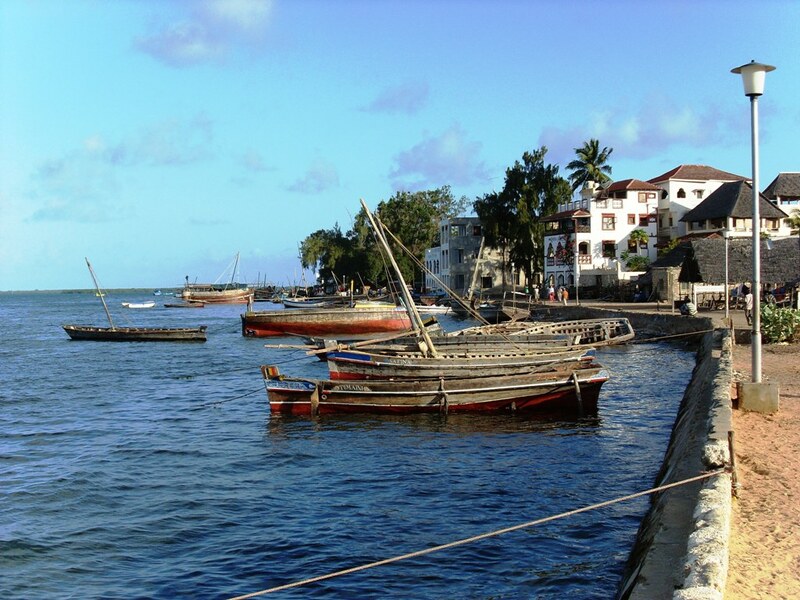 The article I read described Lamu as an unspoiled Swahili town. Swahil is Arabic for ‘coast’, and the mélange of Arab and African created a hybrid culture along the Indian Ocean coast of Kenya that still feels quite distinct from the interior. 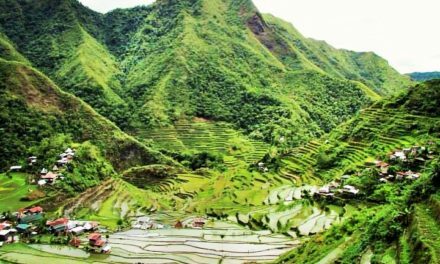 This pristine town, preserved in many ways since the 19th century, is about to be overrun by the new port and modernity with all its disposable income, improved standard of living, and destruction of traditional ways of life. 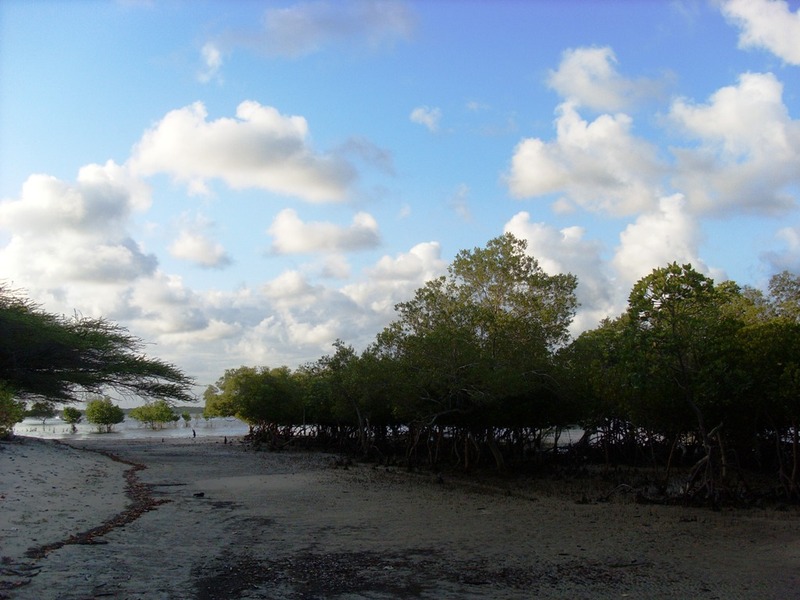 Go now, the article implies, because Lamu the living historical fossil is soon to be no more. The trip started with a bus ride from Malindi, further down the coast. Unfortunately the journey progressed in the opposite way you would hope with the road steadily worsening as we went along. I was in the back and my bus-mates and I suffered as the ripples in the tarmac magnified into assaulting waves of pain by the time they reached our seats. When we turned off the asphalt and drove onto a mostly packed dirt road, the bumps got worse. I could feel a headache coming on from the shocks my brain was absorbing. There was a distinct point where I began to question what I was doing. Was I chasing a dream here? The bus trip would be adventurous and great material for my stories when I was nineteen, but now headed towards thirty-three the charm seemed largely gone from this sort of thing. And yet, for the people living here, this was life, this was their only choice to get to Lamu where friends and family lived. 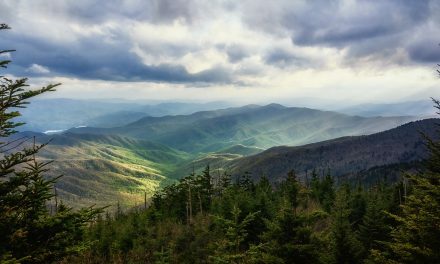 It is not a good place to be, simultaneously filled with weariness of the road and new questions about the path my life had taken while also realizing the incredible insensitivity of these concerns faced with the stoic acceptance by my fellow passengers. The bus hit an incredibly large rolling bump and we all sailed into the air, the bus dropping below us, and then the entire rear coach population came down hard. I guess we had all been silently suffering and questioning our sense in taking this bus. Misery loves company, and the rest of the ride suddenly seemed a bit more tolerable. On the ferry from the bus stop of the mainland, the sight of three young German backpackers was my first indication that the unspoiled dream of Lamu was not to be. Arriving at the wharf, my second indication that my expectations needed adjustment was the teeming mass of people eyeing our boat and its arrival. I did not realize I had all these apparently long-lost ‘friends’ and ‘brothers’ calling out for me, eager to get me to my hotel. The image of a cow wading into piranha-filled waters suddenly entered my head. The boat grew closer to the waiting pack and I clambered off the vessel with the others. The wharf was a flurry with passengers scrambling up the port steps, porters scrambling on, and hotel agents screaming out “JAMBO!” at me, the lone traveler. Jambo is Swahili for ‘Hi’, but it was anything but friendly in this context. Where was this Sayd person who should have been waiting for me? Just then, a furtive guy comes up and unfolds a piece of paper with my name written on it, “Jambo, are you this man?” Lawrence, my hotel manager from Malindi, had come through. “Yes,” I say, and then foolishly, “Are you Sayd?” No, drat. Should have asked who he was. I disregard the confusion of who he is and accept that if he has got my name, then he is probably alright. I point to my backpack, originally black but now grey-brown from the dust of our trip. Sayd leaps over the other porters onto the boat, fighting them off to get my luggage. I realize now why he had my name concealed until he saw the foreigner. The other touts at the wharf would have just copied it or told me they were there to pick me up. Sayd, or Sayd’s guy, grabs my backpack, swings it onto his shoulders, and begins walking so fast in his flip-flops that I have to skip a bit just to keep up with this pace. Men come up alongside us just as quickly. “Jambo, brother, I am a captain. We are going on a fishing trip today, you come?” says one man. “Remember me? I was the one who helped you last time!” tries another. “Do you need anything? You want to eat? I show you a nice place,” says the third. Sayd’s pace is too fast for these guys, and the fact that he has got my sole piece of luggage means that I am going to keep up. Sayd’s caught this tourist fish and I am dragged out of the clutches of the others. The sales assaults continued as I checked into the hotel. 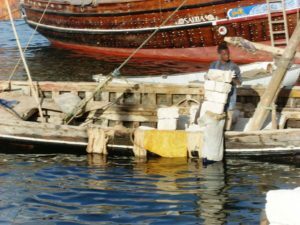 A few dhow captains were lounging around the lobby, ready with package rides out to the islands and deep-sea fishing trips. An older gentleman in a neon yellow safety vest carried my bag up to my room, sat me down in the low and sagging hotel room recliner, leaned on the opposite table and told me he was the town’s tourist “chairman”, but I could call him ‘Chief’. 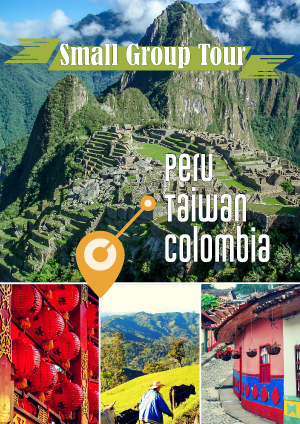 City tours, boat tours, donkey rides, he was the guy to arrange it. The Chief followed me out of my room, out of the hotel, into the narrow and tiny old city streets pitching his services and the remarkable impressions he had apparently left with previous tourists; all now satisfied customers. It was only the passing of a more affluent looking tourist couple that convinced him to let me go free, though with the extracted promise to let him know first about any plans I might have for spending money in Lamu. I am a sucker for three exclamation points, so I turned the corner and ducked into the bookstore. While the sales clerk closely examined the potential exchange value of a very dry historical review of Ethiopia, (recently liberated from an unnamed US Embassy’s lending library), the clerk’s friend struck up a conversation. “Do you play bowel game?” she asks. “Ahhh…. ‘Bowl’ game?” I venture? Without waiting for a response, she walks over to the corner and grabs a wooden board with carved spaces arranged across the top and a large bottle of pebbles. “Yes. So this is how to play.” She lays out the board, filling each cup space in the surface with two pebbles and starts teaching me the bao game. It reminds me of backgammon, and the other clerk takes pity on my inexperience and throws a few key tips my way, tipping the scales a bit back in my favor. Half an hour and a couple rounds of bao later, I say goodbye to Rose and the clerk Rebecca, and walk out with a new beach read and a promise to come back tomorrow for a rematch. I take a few steps out and realize I’m a bit stunned to realize there was no sales pitch in the entire exchange. Avoiding the wharf, I slide through the early dusk shadows in the more residential streets packed with locals who cast me a quick glance and a polite ‘jambo’. I ‘jambo’ back and walk through the north end of the town and out into the mangrove stands exposed out on the low-tide beach. 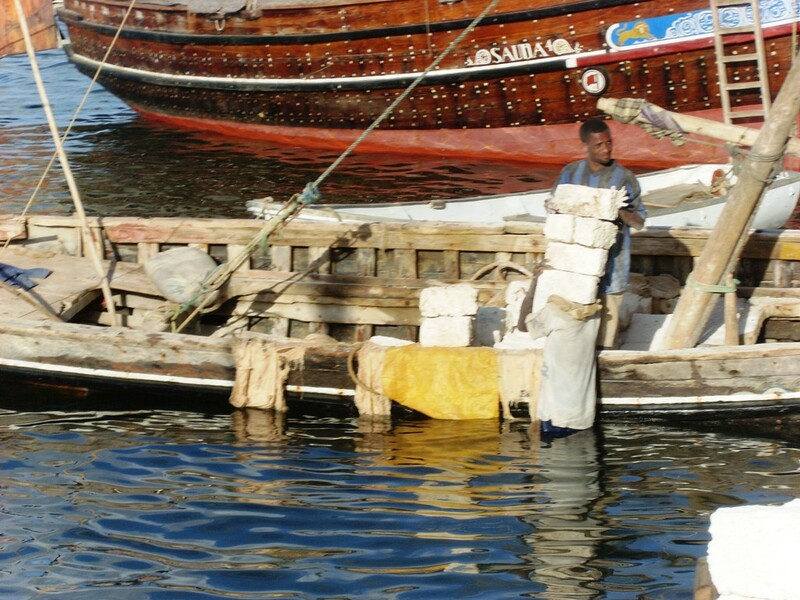 No one tries to sell me anything, dhow crews are too busy unloading coral bricks dug out on the opposite island while the light is still good. At the end of the work day, local couples have tucked themselves into the groves, just enjoying the end of the day. Sun sets and throws bright orange light on the boats in the water before dropping away completely. Walking back into Lamu, I come in fresh and revived. I walk back in through the residential end, seeing Lamu as it should be seen. A dense mass of urbanity on a scenic island. The plots of land appear to have been only loosely planned and the sand and shanties transition in the space of two blocks to hundred-year-old houses just a few feet apart, real estate jumping up three or four stories with rebar extending upwards, optimistically implying future living space for a growing family. Lamu might be alright after all, I think. 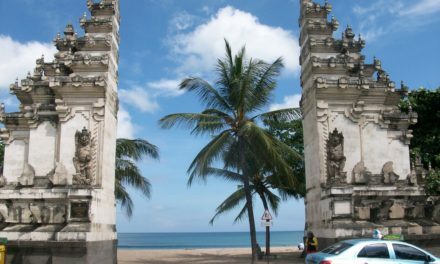 After two days on the island, I sit on a bench outside the arched entrance to the main square of Lamu. There is the odd tourist passing through, but mostly it’s just old men sitting and chatting. Dodging the wharf now at all costs, I have joined them at the square, drinking cups of sweet, spiced coffee brewed in a massive pot over a charcoal brazier. The vendor sets up in the late afternoon for his daily nine-hour shift, providing stimulant and pretext for conversation seekers. Patrick, who works at a nearby hotel, is telling me about the hamali teams. These groups of four people push a two-wheeled cart – the hamali – and deliver literally everything that comes from the mainland to its destination on the island. As we speak, a team struggles by with a load of boxes, massive burlap sacks, and what is clearly an exercise bicycle wrapped in newspaper. The only other delivery method on the island is one of the 3,000 donkeys that meander through the streets when they are off-duty, scrounging for the stray corn husk or bit of grass. “I’ll come tomorrow,” I promise. “OK, we wait you then.” With a smile she is off into the crowd. I turn back to my new friend, “Tell me Patrick, are these really Maasai?” I ask. I was convinced the men dressed in the red robes, sporting shields and spears, and working in the ‘Maasai Market’ had to be locals dressed up for the tourists. It was akin to seeing cowboys in full outfit in South Florida. I nod, not much to add there. “Even on Lamu, people are people, huh,” I say to him. Finishing the coffee, I walk past the old men idly adjusting their skullcaps, sitting on the stone benches underneath one of the massive trees that drape over the square. Women in full veil greet their male friends. How do they recognize each other? The tumult of the center quickly gives way to narrow lanes with small drainage channels cut on the side. I recognize the now-familiar clomping of hooves and step into a doorway to let the donkey and rider pass behind me. A young girl comes around the corner in the other direction, one hand pulling up her head scarf. “Jambo!” she says with excitement at seeing me. “How are you?” she asks as we pass by each other. “Thank you.” Yes, thank you very much. Jett Thomason is now a program analyst managing small grants projects in Africa. The views expressed are entirely his own opinion and in no way are representative of any government or other institution. Over the past decade his travels and work have taken him throughout the former Soviet Republics and Europe to Afghanistan and Iraq. 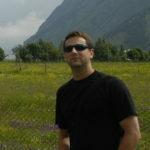 He blogs for GoMad Nomad at the No Leave Travel Blog. Great story Jett, love the play by play! Liked your story very much. Told some colleagues who know you and remember you, Jett. You became a real story writer. I’d like to use your notes for my extra lessons if you don’t mind.Hope my students will like your impressions too. Good luck to you! Cowboy in South Florida. Love it. It’s odd trying to figure out the whole “reality” versus Disney thing. yes? Lamu. Paradise. Other than the pirates. Thanks for the pleasant reminder.